More than 6% of operational cannabis companies surveyed by Marijuana Business Daily said they have been audited by the Internal Revenue Service, which suggests that the industry faces more scrutiny on the tax front than other sectors. Testing labs reported the highest rate, with roughly 13% saying they have been audited, followed by dispensaries/recreational cannabis stores (nearly 8%) and ancillary companies (6%). Wholesale growers reported the lowest rate, with just 2.9% of those who responded to the survey saying they have been audited. The IRS reports that it audited about 1.4% of all U.S. businesses in 2014, which is actually down from previous years due to budget constraints. The majority of operational cannabis businesses started in the past few years, according to the 2015 Marijuana Business Factbook. So it’s reasonable to assume many marijuana companies that reported being audited were likely targeted by the IRS last year. The online survey – conducted June 3-10 – targeted Marijuana Business Daily’s readers and newsletter subscribers. 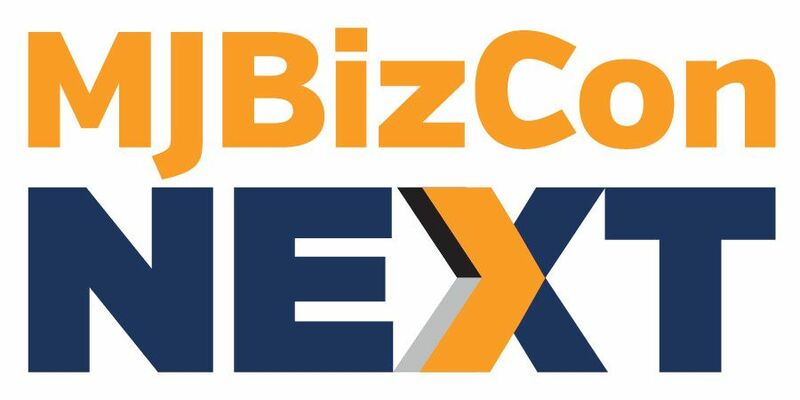 The results include the responses of 480 executives from operational businesses, including cannabis-focused investment firms. The likelihood of a business being audited varies significantly depending on corporate structure, gross income, nature of the business and other factors. For example, in 2014 the IRS audited over 84% of large corporations, which are defined as those with at least $20 million in assets. Just 1% of small businesses (less than $250,000 in assets) were audited. On the whole for most businesses, the chances of being audited are about 1%-3%. Although marijuana companies are more likely to be audited by the IRS, they appear to be less likely to have to make changes to those tax returns than other businesses. 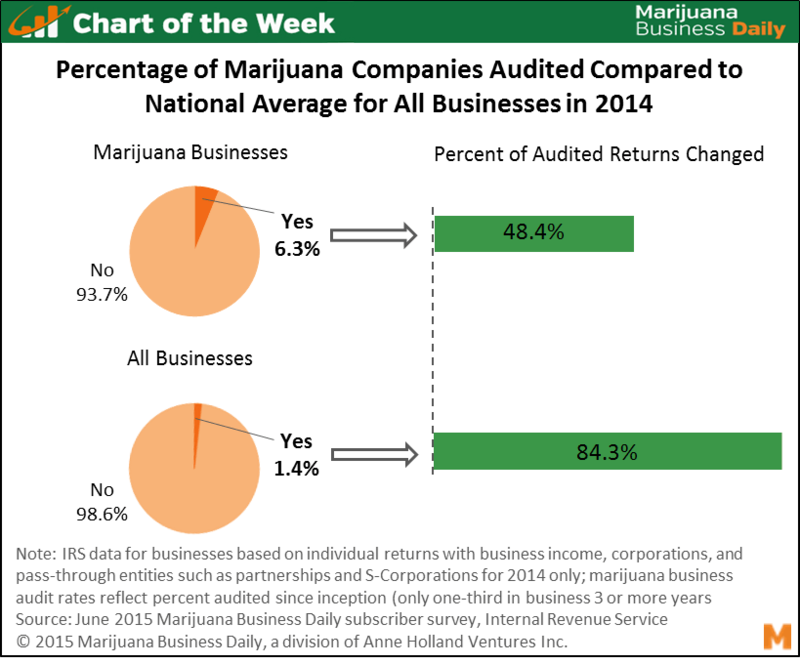 Over half of marijuana businesses reported not having to change their tax returns as the result of an audit, whereas only about one-sixth of other businesses didn’t end up changing their tax returns. Taxes are one of the biggest challenges the marijuana industry faces. An obscure section of the tax code known as 280E often results in effective tax rates in excess of 70% – and even over 100% – of gross taxable income for dispensaries and recreational cannabis stores. Marijuana retailers therefore often have a much higher tax burden than other sectors of the industry, and it can be tempting for them to look for creative ways to lower their tax bills, according to tax experts. That invites more scrutiny from the IRS. The 8% audit rate for cannabis retails is on par with the percentage for the largest corporations in the country that have assets in excess of $100 million. The lion’s share of marijuana companies are much smaller, yet the audit rates are more on part with those for the country’s largest firms. However, the fact that marijuana businesses subject to an audit are much less likely than other businesses to have to make changes to their tax returns would seem to suggest not only are these businesses not giving into the temptation to ignore 280E, but their overall financial records and taxes are pretty buttoned-up. This is possibly a positive early indicator that the marijuana industry is taking compliance seriously. Nothing here is all that surprising, my industry colleagues anticipated a higher audit rate and some of them are in the business of counseling MJ business owners in how to avoid audits. It’s also not surprising how few businesses are having to make changes based on their audits. IRC code 280E has got to go, MJ businesses deserve the same tax write offs allowed for any other business. The fact that business people are opening MJ businesses in spite of 280E is a testament to the pioneering spirit of these entrepreneurial visionaries. This article is GREAT! All tax practitioners in the MMJ industry should share this with their clients. Thanks for the great survey and article. I’m glad to hear the hard work we have been putting into the MMJ industry towards tax compliance is paying off.